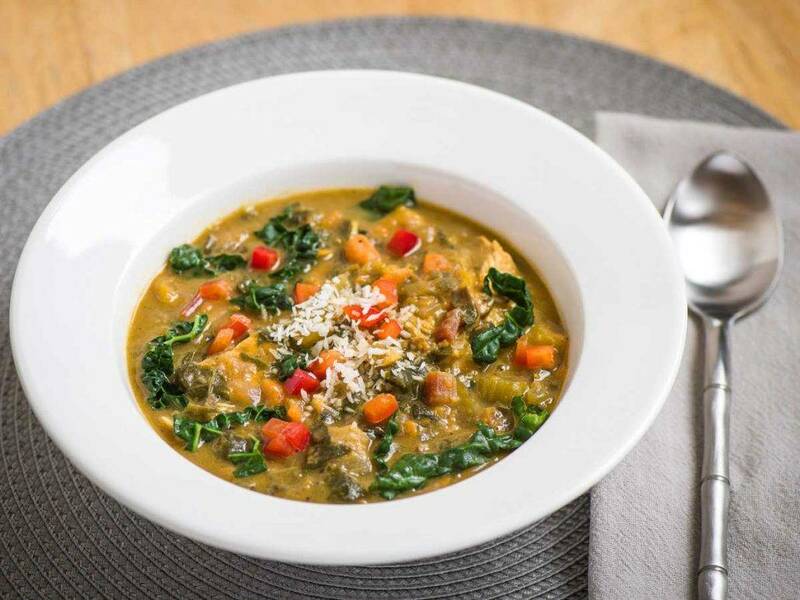 This soup is named for the founder of our rural area, Ainsworth Hot Springs. We imagine a hot pot of earthy soup like this would have fed the miners toiling away on the nearby mountains a century ago. We’ve innovated with a little coconut milk to build a creamy base and added protein. Our Captain Ainsworth’s Classic Fall Soup serves 4. Cube the chicken breasts, lightly sauté or bake, and set aside. Saute the onions, garlic, celery, and jalapenos in a soup pot with the oil until just translucent then set aside. Combine the stock, allspice, squash, yam, and celery in another pot and lightly boil until cooked through and tender. Puree the soup stock until smooth. Add the onion-celery mix as well as the chard, the chicken, and the coconut milk. Simmer for 10 minutes.